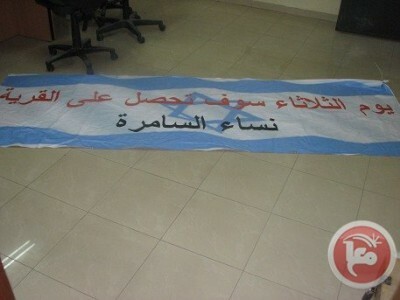 On June 18, settlers hung up a banner in the town of Azzun, threatening to take over the town. Later that day, the town was attacked by settlers, supported by the Israeli army. Local residents successfully fended off the attack through massive mobilizations. During the late afternoon of the day that the ominous banner was put up, settlers gathered outside the eastern town-entrance for what appeared to be an attempt at fulfilling the prophecy. Luckily, the day before, attentive villagers had intercepted online information that settlers were mobilizing for a lunge against the city on this date and so they were prepared. About three months earlier, the town had been attacked by around fifty young settlers who entered the town through the eastern-most checkpoint. After this, they proceeded to enter nearby Palestinian houses, throwing stones and empty bottles while shouting that “this is our land”. In spite of being barraged with tear gas and sound bombs by the occupying military forces, which came to the assistance of the attacking settlers, the residents of Azzun managed to fend off the assault. As a result of this experience three months ago, the locals now knew how to react to what looked like a new attempt at a violent assault on the town. 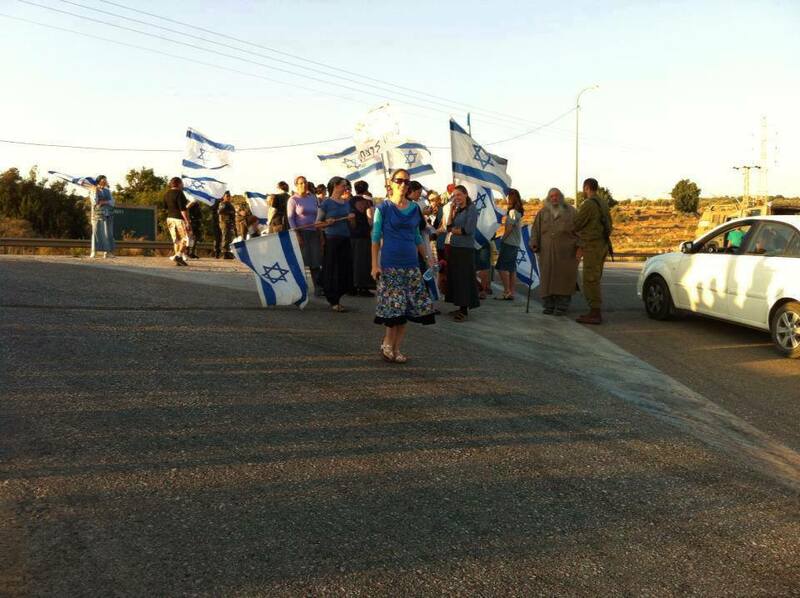 As soon as settlers started gathering outside the eastern-most checkpoint of the town, residents rushed to the site, effectively blocking the entrance to the town for both settlers and the collaborating soldiers that were accompanying them. 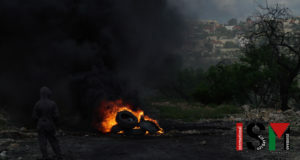 For about six hours the residents were attacked with tear gas, sound bombs and rubber-coated steel bullets by the occupation forces. These attempts by the occupying forces to help the settlers enter the town left several wounded. In the end, the perseverance of the residents of Azzun caused the attacking settlers to retreat without having entered the town. The soldiers, however, returned the following night to continue harassing the inhabitants of the town. These evident attempts at forcefully taking over the city are not the only abuses the residents of Azzun face every day. Because of the status of the town as a major traffic hub for the surrounding villages and towns, Azzun is routinely submitted to checkpoint shut-downs. In accordance with this, the main checkpoint of the town was completely shut down between the 15th and the 20th of June. The checkpoint-shut-downs have the purpose of severely prolonging the transport time for anyone hoping to access one of the cities of the region, with the direct consequences for those in urgent need of medical attention of a kind not accessible in the immediate area. Apart from these shut-downs, the military has a practice of arresting young boys on various arbitrary charges. While in custody, the boys are pressured into signing forms in Hebrew being informed that this is a prerequisite for being released. What the boys don’t know is that the forms are in fact made-up testimonies, denouncing other boys of taking part in illegal activities. This practice is adopted by military as a sort of divide-and-rule strategy where released boys and their families are under constant suspicion of being collaborator and informants, thereby playing residents out against each other. The local boys’ school can also confirm a correlation between the time of the year and the amount of arrested teenage boys. There seems to be a surge in the amount of arrest as soon as the exam-period gets closer meaning that a lot of these young men are prevented from taking their mandatory 12th grade exams. The ISM will continue to monitor the situation in the town that is also being closely followed by another group of internationals, EAPPI.